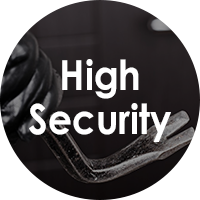 The question of whether your property is secure enough is always a challenging and worrying one - but we will find a solution for you. Do you worry about the security of your home? Do you feel your home is vulnerable when you are away? Concerned of the security of your commerical property? 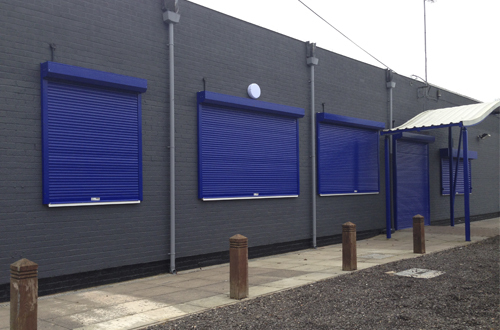 The Garage Door Centre offers a range of high quality security shutters and retractable security grilles which could relieve your security fears and allow you to rest easy during the night. 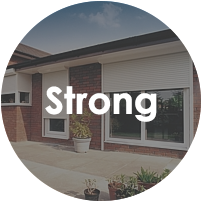 As well as providing your property with extra security, when not in use, our range of security shutters and retractable grilles are discreetly folded away and are barely noticed. We only install the highest quality shutters and grilles, all made to order to fit your openings perfectly. Many of the models can be specified with a Level 1 'Secured by Design' rating: an accreditation recognised by the police and insurance companies of a product offering true security protection with certified resistance against sustained attacks, and tested by an independent body. Please feel free to speak to us about any aspect of the physical security products that we offer - there is a solution for nearly every application! 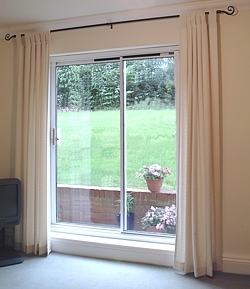 There are options regarding colours, sizes, manual or electric, solid curtain or perforated curtain, fitting inside or outside the door or window, single or double skinned slats, steel or aluminium shutters; the list goes on. 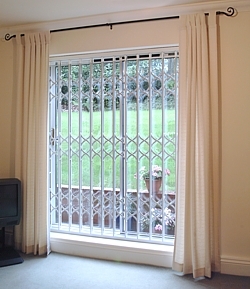 We are able to supply and install security grilles and shutters almost anywhere in the United Kingdom. We aim to offer you very competitive prices with professional surveys to ensure you are met with the best specification available and that your installation goes as planned. Call now for prices and options on one of the widest ranges of shutters anywhere in the UK. All products come with the very best guarantees, as well as peace of mind for real security against potential intruders to your home. For further information, view our security shutters and grilles in the Product Catalogue. If you're interested in finding security products for industrial applications, visit our sister company's site, Samson Industrial Doors by following the button below.